We have every angle covered. Protect your business 24 hours a day. between wired and wireless options? by using your Smartphone or Tablet. work to talk through and assess your needs. Customer Service.... We’re here to help. We offer a free site survey & system design service. Please give us a call to book a no obligation appointment. With the latest cutting-edge technology, a wealth of expertise and your security at the heart of everything we do, Jellybean Technology excel at providing modern, flexible, high deterrent security- anywhere, anytime. 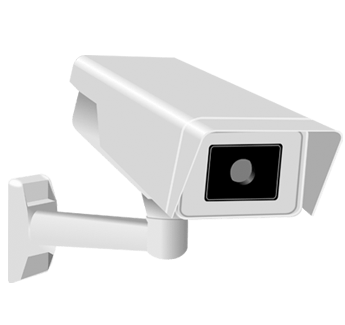 Using the latest technology, we can design and build a surveillance system for your business ranging from a basic single camera system to large, complex multisite solutions. When it comes to installing your system, our team of safety accredited, highly qualified installation experts take everything into consideration with your property before beginning to ensure minimal disruption to your day, premises and employees. 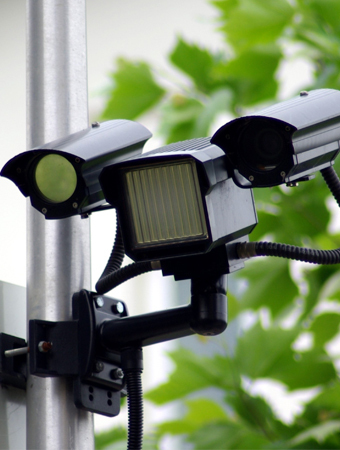 When it comes to CCTV most businesses don’t know what they need until it’s too late. To fully assess your requirements our team will conduct a free site survey at your property to identify weak points, they will then provide an in-depth assessment along with a free no-obligation quotation. 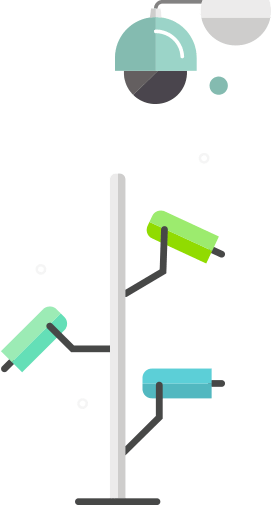 Through intrinsically understanding, analysing and evaluating your needs, we can immediately identify weak areas within your business and create a tailored surveillance solution. Every business is different and so is every CCTV solution. We excel at designing bespoke systems that are created to fit specific business requirements. Whether it’s one camera or five. We recently had CCTV fitted at our business premises by Jellybean Technology. Having initially made an enquiry we were very impressed with the level of detail offered including equipment, site survey and cost effective solutions. Installation went very well, with little disturbance, and we are very happy with the product and the security it provides and am happy to recommend this company. Owner came round and carried out a detailed survey day after request for same. Provided me with various opinions/costs. Installed within a week of placing order, took one day to install for our detached domestic 4 bedroom house. Quality of installation first class, camera/pictures viewed in house/ on my mobile phone again of a first class quality day and night. Very neat and professional wiring job, visual importance of looking neat installation taken into account by own and engineer. Within 2 weeks owner had been round 3 times to check I was happy, view pictures in natural light and when dark. I would recommend without hesitation to anyone. I’d just like to acknowledge your efforts, service and technical abilities provided to HFE Signs. Prior to starting this exercise I had no idea or understanding of CCTV systems at all. Everything has been designed, explained and installed without fuss and as simply as possible. Minor issues were quickly overcome and I’m delighted with the finished result. It gives me great satisfaction, knowing I can log on remotely (even on my phone!) and have a quick look around anytime day or night. The fact that you are only at the end of a phone, should I need anything or have a question is very comforting. The service, product and prices provided by Jellybean Technology has to be one of the best in the industry. I can’t thank you enough, I will without doubt be recommending you and I’ll certainly be back for any future requirements both at home and at work. Also I’m more than happy for any of your potential customers to contact me on the office number should they wish to do so. We contacted Jellybean last year as we wanted our broadband socket relocating in our house in preparation of some renovations. Darell visited promptly and discussed all our options. Whilst talking it became very obvious that Darell was very knowledgable and able to assist us much further with our home internet facilities which would help us overcome a lot of problems we were having. A review of our needs and the set up we were looking for was discussed in great detail taking all of our needs and concerns into consideration. This resulted in us proceeding with the installation of hard wired internet provision across our house during our renovation work and Darell worked very closely with us throughout the stages ensuring his work was carried out at the most appropriate time and meeting our needs along the way. The result now being the fastest and most reliable broadband speeds and constantly reliable connection – No more lagging with online gaming! As Jellybean also provide home security systems – CCTV etc, we felt confident in using Jellybean for this service also. Again Darell worked closely with us taking our views on board and advising us accordingly the best location to have cameras and the most suitable, and highest specification products available to us within our budget range. The result now being a good quality home security system that we can access via our phones from anywhere. Our experience with Jellybean has been a very positive one and we would not hesitate to recommend them to others wanting help, guidance, support or products that are on offer from Jellybean. Darell is very professional and knowledgeable and can provide a tailored package to meet individuals needs, ensuring reliable and superior customer service at all times. Jellybean Technology visits our digital innovations company twice-monthly to maintain all our IT systems, and we can’t recommend them and their services enough. Their experience and knowledge is refreshing, and solutions and professionalism continue to exceed our expectations. Installations are completed with minimal disruption to our employees, and ongoing IT maintenance is completed efficiently and thoroughly. Jellybean Technology routinely identifies weaker areas in our business, and suggests bespoke, yet cost-effective solutions that keep our systems and premises protected. The approachable, friendly advice is always appreciated, and they explain technical issues in ways that can be understood by everyone. Their efforts are invaluable to our staff and business. A big thank you to Jellybean Technology, your ongoing support and services are appreciated by everyone at the Dev Clever team! This was a really thorough and professional service. Not only was the installation just as we asked (wiring hidden, not intrusive) but they sorted out our IT. Made it seem simple, but several weeks after completion, the installation is faultless. What can we say other than a great job and a highly recommended service. I will recommend them to my clients without question. Amazing service, attention to detail, workmanship, advice and generally going more than the extra mile. Thank you. Highly recommended. Top customer service! Did everything he said and more. Recommend to anyone !! Owner came round and carried out a detailed survey day after request for same. Provided me with various options / costs. Installed within a week of placing order, took one day to install for our detached domestic 4 bedroom house. Quality of installation first class, camera / pictures viewed in house / on my mobile phone again of a first class quality day and night. Very neat and professional wiring job, visual importance of looking neat installation taken into account by owner and engineer. Within 2 weeks owner had been round 3 times to check I was happy, view pictures in natural light and when dark. I would recommend without hesitation to anyone this Company. Our engineers are experts at installations so expect minimum disruption to your home or business. For piece of mind we also offer a 3 Year Advanced Replacement Warranty on certain systems T&C’s Apply. With over 30 years experience within the team, expect nothing short of excellence. Our offices are located in the Midlands with great transport links allowing us to service the UK. With pride ourselves in customer service and satisfaction, why not check out our testimonials. We offer a free site survey & system design service. To find out more then please give us a call to discuss. We are passionate about our customers security and safety, that’s why unlike some of our competitors we strive to use the best products and practices in the industry. We have a team of experienced engineers who not only know our products and procedures inside out but also the best way of installing and maintaining them. All our staff are DBS checked with Enhanced Disclosure for your protection. Get in touch with us any time for free no obiligation advice, if we're not available we promise to get back to you as soon as we can.